The acquisition of Omnium by Northern Trust in 2011 kick-started a new path for Peter Sanchez, Omnium’s global head of business development and client services at the time. The deal saw him become Northern Trust’s head of hedge fund services. 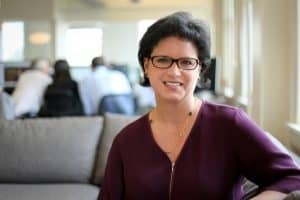 Now seven years later, Sanchez serves in the newly-created role, head of North America Alternatives Fund Services, and the Omnium technology team is a fully in-house operation for Northern Trust. 2018 has been a year of continued innovation within the Northern Trust fund services business team, with Sanchez at the forefront of this drive. He has not only led the merger of its hedge fund and private equity administration businesses into one unit, but was also instrumental in the rolling out of new technological upgrades to its offering in a bid to enhance client experience and automation. Sanchez also played an integral role in Northern Trust’s partnership with Hazeltree to provide an automated cash optimisation service, based on a tool that calculates unencumbered cash, suggests entries to consolidate cash balances into one account. Speaking to Global Custodian earlier this year, Sanchez explained one of the businesses’ top goals is to continue investing into technology and provide a service that can apply across the entire alternatives sector. “As you look at the alternative sector, we want to be able to handle hedge funds, private equity, PE hybrids, credit funds etc, all in one system. Our hedge fund administration is one of the fastest growing businesses in the world, and PE hybrid is growing at the same rate,” he said. State Street took the custody world by storm this year with their acquisition of front-office services provider Charles River. The deal was a key component to its “One State Street” vision in aligning its front-to-back vision and strategy. Lou Maiuri has been the driving force for the vision, expanding his job remit to head of global markets and front-office solutions, overseeing State Street Global Markets, State Street Global Exchange, and now, Charles River Development. 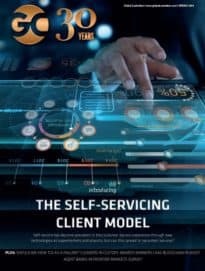 The new vision Maiuri has brought to light has sparked an industry-wide debate of how custodians and fund administrators should service the front-office of their buy-side clients. The move by State Street can be seen as the first to spark other acquisitions of front-office data and execution providers such as SS&C Technologies takeover of Eze Software just a week after the announcement of the Charles River deal. 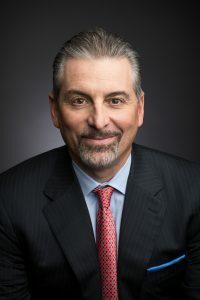 Speaking to Global Custodian earlier this year, Maiuri said the acquisition made “too much sense” when looking at the capabilities and what it could bring to clients, including an expansion of its wealth management services and new data solutions. It has also struck a chord with the asset management community, with one global operations head for an investment manager commenting at an industry event that they now have the potential to outsource their entire front-to-back data management process. “[The acquisition] is transformational for our clients and for State Street. The data we deliver back will be faster and more efficient and cash availability will be delivered in a much more accurate way,” explained Maiuri. To say that the work coming out of Digital Asset Holdings has the potential to disrupt the securities services industry is an understatement. Rather it’s work on blockchain and smart contracts with some of the biggest market infrastructures in the world has the potential to fundamentally change the way post-trade operations are carried out. Leading the charge in rolling out the Digital Asset product to the financial services industry is Kelly Mathieson, a GC Legend inductee and head of financial products. She joined the team in 2016 from JP Morgan following a string of high-profile appointments by Blythe Masters, and has since been a part of a number of milestones for the distributed ledger technology (DLT) provider. Most recently, a new test from the Digital Asset blockchain platform showed it processed upwards of 27,000 trades per second in the US securities market, far exceeding prototypes developed by other blockchain vendors. Mathieson is also playing a key role in Digital Asset’s pioneering work with the Australia Securities Exchange (ASX), where the platform has opted to implement its blockchain-based clearing and settlement platform. In a recent announcement, the Hong Kong Exchange (HKEX) also said it plans to use Digital Asset’s technology to help complete post-trade allocations and processing for Northbound trades under Stock Connect. Mathieson is helping global custodians around the world to adapt to the evolving post-trade landscape that their blockchain technology is help spurring. One way Mathieson is enticing custodians to their DLT-model is through new data products they could utilise on the platform. 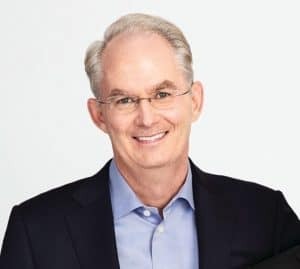 Promotions don’t come much bigger than being made CEO, and that will be Tim Gokey’s new position at Broadridge as of January 2019. In an eventful year for Broadridge, Gokey has spearheaded multiple initiatives including the creation of a new unit to lead its international expansion across all business lines in Europe, the Middle East, Africa and Asia Pacific. He has also been at the forefront of Broadridge’s technology innovation throughout the year where the FinTech giant has made huge strides with solutions for proxy voting and repo agreements. Broadridge Financial Solutions then also launched a new automated asset servicing solution in October, using cloud-based technology as it looks to combat post-trade inefficiencies. He added that Gokey had been pivotal in turning Broadridge into a leading global FinTech company. Gokey, has served as president since 2017 and chief operating officer (COO) since 2012. 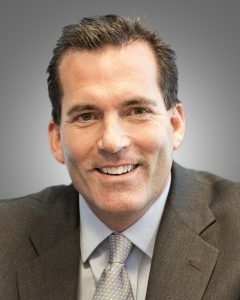 During his time at Broadridge, Gokey has led the development of the company’s governance, capital markets and wealth management businesses. He was also responsible for the expansion of Broadridge’s capabilities through internal investments and acquisitions.